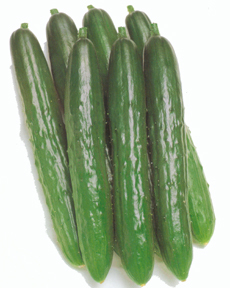 Cucumber 小黃瓜 | Tainong Seeds Inc. Very productive and high yielding with many female flowers. 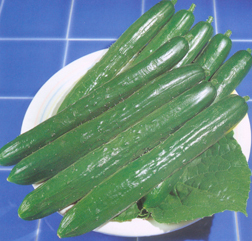 Glossy deep green fruits are 21~22cm in length, 2.5~3.0 cm in diameter. High heat tolerant and disease resistant. High yielding with many female flowers. Fruits are 21~22 cm long, 2.5~3.0 cm in diameter. Tolerant to heat and multiple diseases. 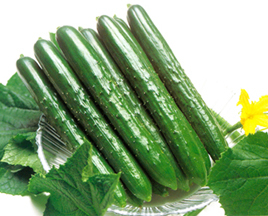 Fruits are 22~23 cm long, 2.5~3.0 cm in diamter. Tolerant to Downhy mildew, Powdery mildew, Anthracnose, C.M.V. and heat. Produces very uniform, high grade 1 fruits. Deep green, 21~22 cm long, 2.5~3.0 cm in diameter. Highly tolerant to Downy mildew, Powdery mildew, Anthracnose and C.M.V.